Computer Networking PowerPoint templates, backgrounds Presentation slides, PPT Themes and Graphics. In the last few years our world has seen vas advancement in technology. With the introduction of computers, most activities were carried out in half the time and with half the manpower. But the transfer of data was seen as a hindrance and that was when computer networking proved to be a solution that has made possible the transmission of data all over the world in less than a second. These professionally designed PowerPoint templates will allow you to create PowerPoint presentations that will help you showcase everything right from the latest wireless networking support to the conventional basic computer networking. You can educate your audience about the technical aspect of networking as well as different types of computer networks. With introduction of computer networking as a part of High School education, these presentations can also help the students understand the working and advantages of computer networking. A networking tutorial can also be created for the Technical department with the help of these templates which will allow easy troubleshooting in case an error is detected. These templates are customizable and can be edited further to blend well with other aspects of the PowerPoint presentation on Computer Networking. This technology diagram has been designed with graphic of computers and mainframe. 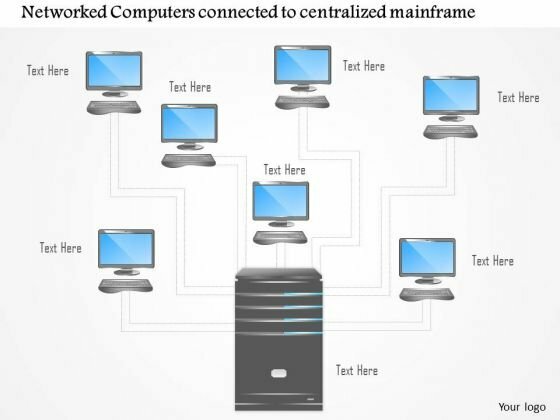 These computers are connected with centralized mainframe to display the network and connectivity. 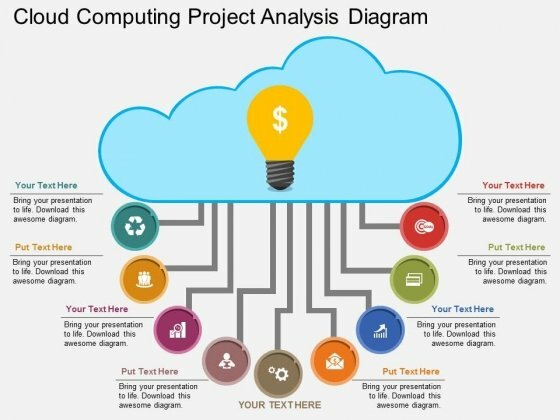 Use this professional diagram for computer technology related presentations. 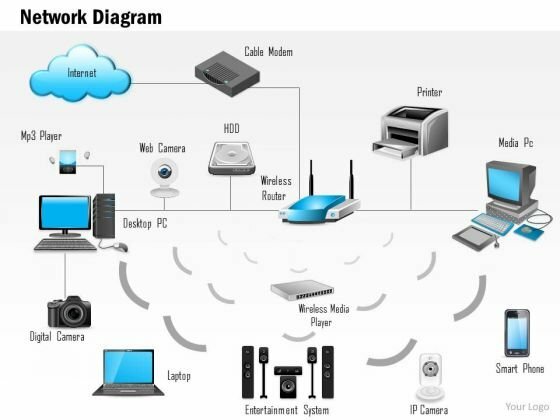 This diagram slide has been designed with graphic of computer network and devices. 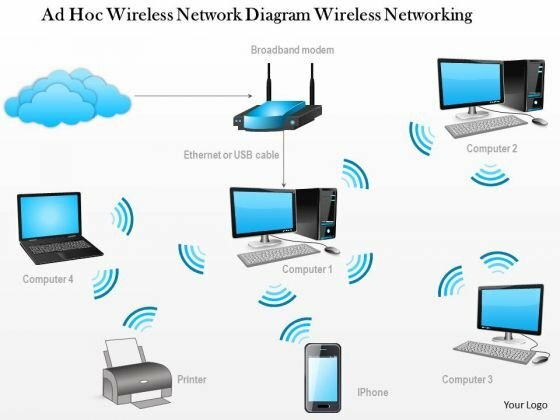 This diagram contains the wireless and wired networking of computers. 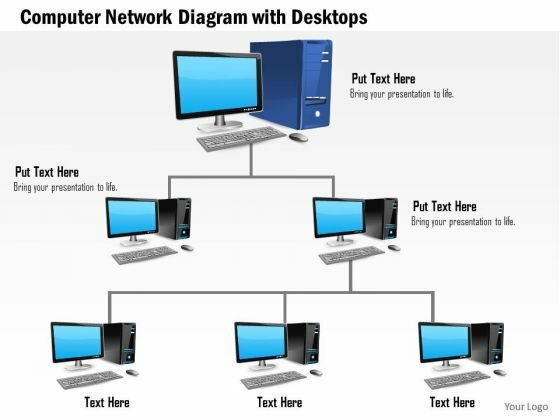 Download this diagram for computer networking related topics and to build professional presentation for your viewers. To explain the internet connectivity for domestic use, you may use this Powerpoint image slide. 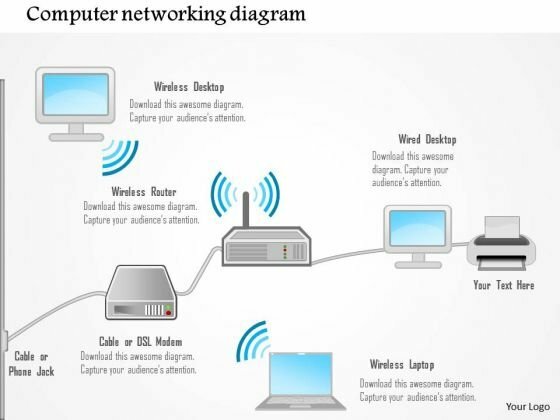 This slide contains the graphic of network diagram which displays the internet connected home. Build a presentation for internet connectivity related topics by using the network PPT slide. 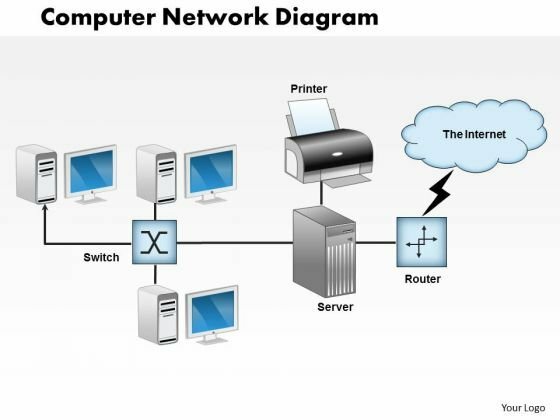 This image slide displays computer network diagram with desktops connected using Ethernet. This image slide has been crafted with graphic of computer connected to each other in levels to represent server. This image slide depicts networking. You may change size, color and orientation of any icon to your liking. Use this PowerPoint template, in your presentations to express views on networking in business. This image slide will enhance the quality of your presentations. This business framework displays computer network diagram. This image slide has been crafted to depict computer networking and global networking. Use this image slide, in your presentations to express views on technology and business. This image slide will help you make outstanding presentations.